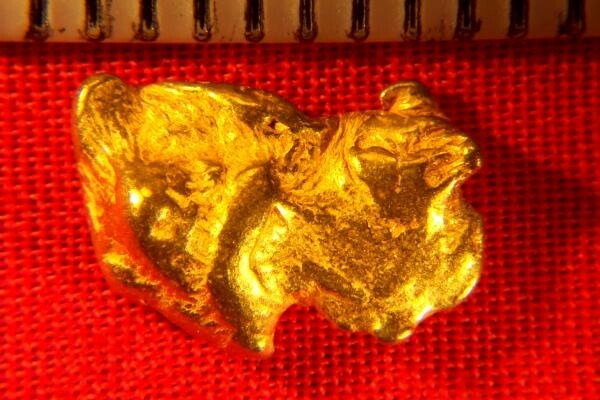 Home :: Gold Nugget Gallery :: Gold Nugget from California - Stunning! 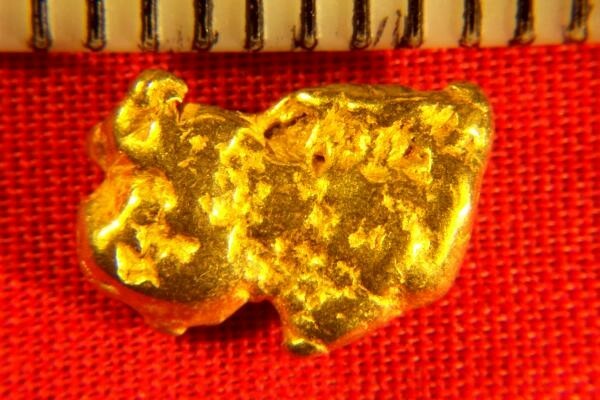 Gold Nugget from California - Stunning! This beautiful and shapely Gold Nugget from California weighs 40.3 Grains (2.61 Grams). From the bountiful gold fields in the Mother Lode Region of California, this beauty is 1/2" (12 mm) long. So nice I had to take 3 photos!! 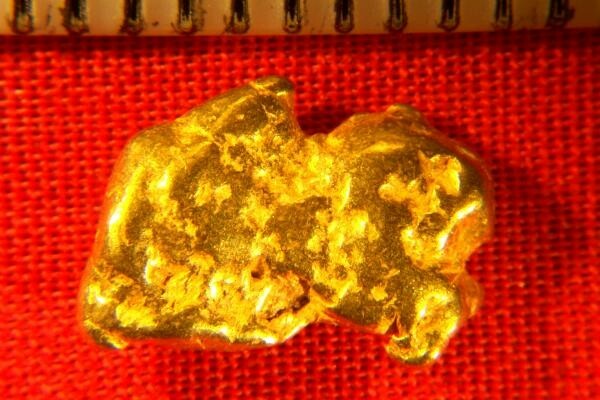 This California Gold Nugget is nicely shaped and available for your collection. Due to the banning of suction dredging in California in 2009 there are not many gold nuggets being recovered anymore, making existing California gold nuggets increasingly rare and valuable.